Browse thru our many anniversary gifts to get some ideas for a unique gift. 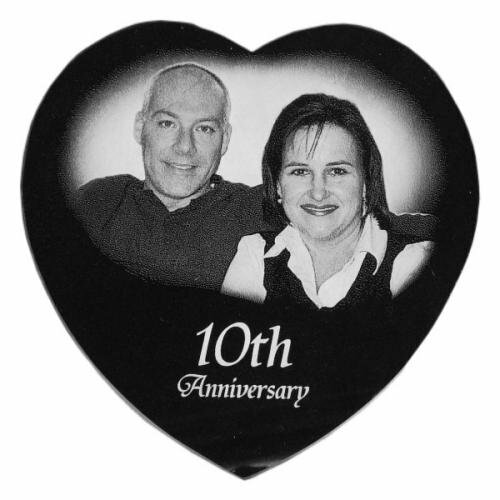 Whether it's a 25th anniversary gift , 50th anniversary gift or even a one year wedding anniversary gift. 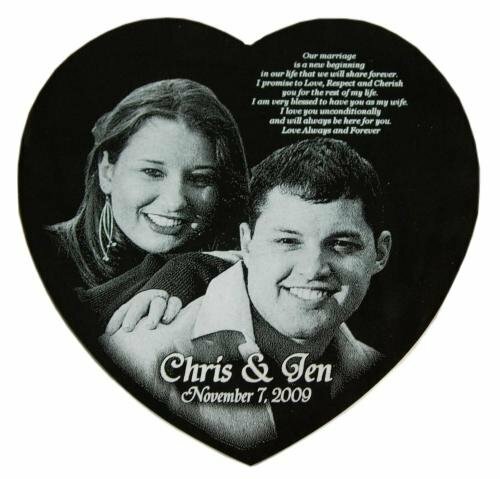 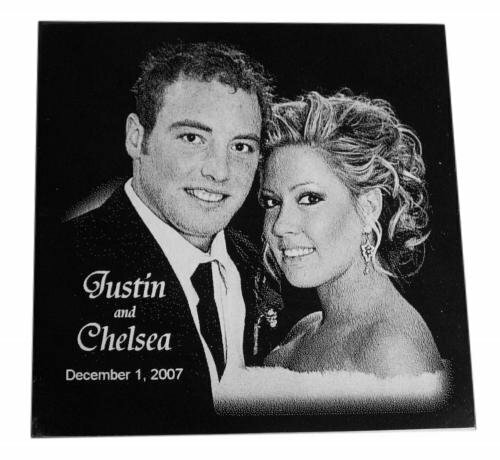 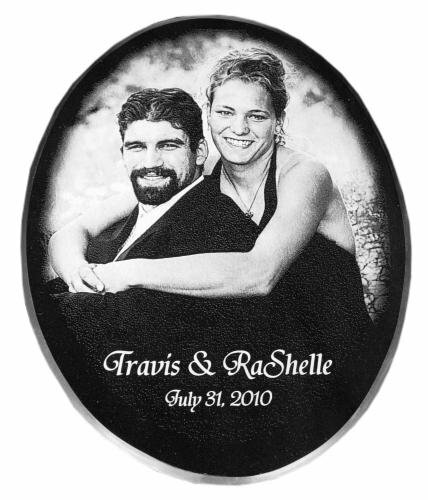 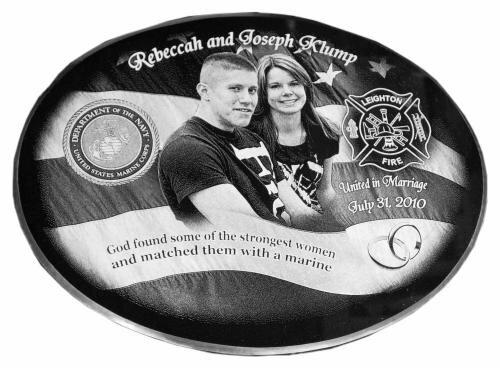 You will notice our oval marble anniversary plaque is the most commonly ordered, it features a wedding photo, current photo and any text you desire.